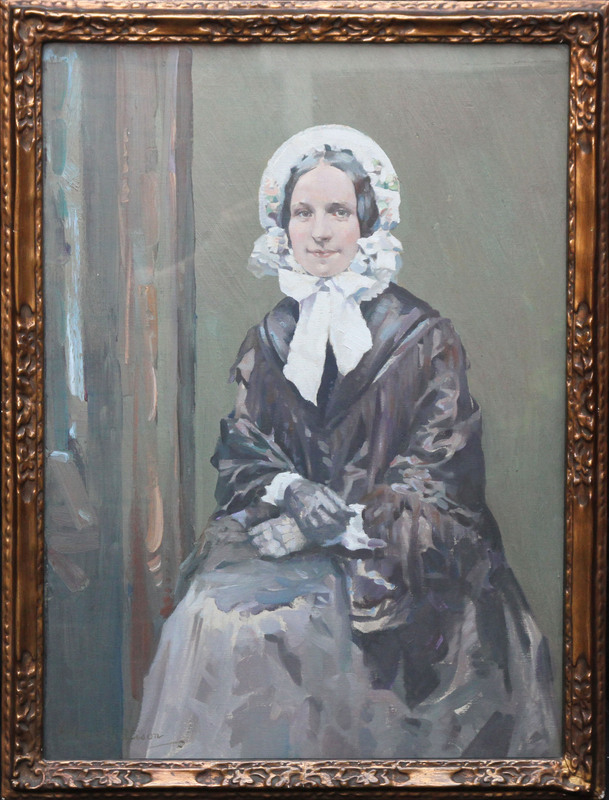 A fine large Scottish colourist 1920's oil portrait painting by Henry Young Alison. This super evocative 1920's painting depicts a portrait of a woman and is titled "Ruby" verso. The clearness and dexterity of the brushwork make this a fine portrait. This is a superb example of an early 20th century Scottish portait painting. The work is just lovely, a good size and signed. This wouldn't be out of place in Kelvingrove Gallery in Glasgow. Signed lower left. Henry Young Alison (1889-1972), brother of artist David Alison, was born in Dysart, Fife, Scotland. He was a figure and portrait painter and exhibited at the Royal Scottish Academy from 1916-1921. He trained at the Glasgow School of Art, Glasgow, Scotland, under Francis Newbery from 1905-1912. He studied drawing, painting and life classes under Maurice Greiffenhagen, Paul Artot and James Huck, and gained his Diploma in 1911. During the First World War he served in France, but was captured and held as a Prisoner of War. Whilst imprisoned, he was wounded in one eye and lost the sight of it (his wartime letters to the Glasgow School of Art survive in the Secretary and Treasurers's letters, 1914-1918). He joined the staff of the Glasgow School of Art in 1927 as an assistant in the Drawing and Painting Classes, becoming Supervisor of the Evening School and the General Course in 1932. At Alan Walton's resignation in 1945 he took over as Interim Director. 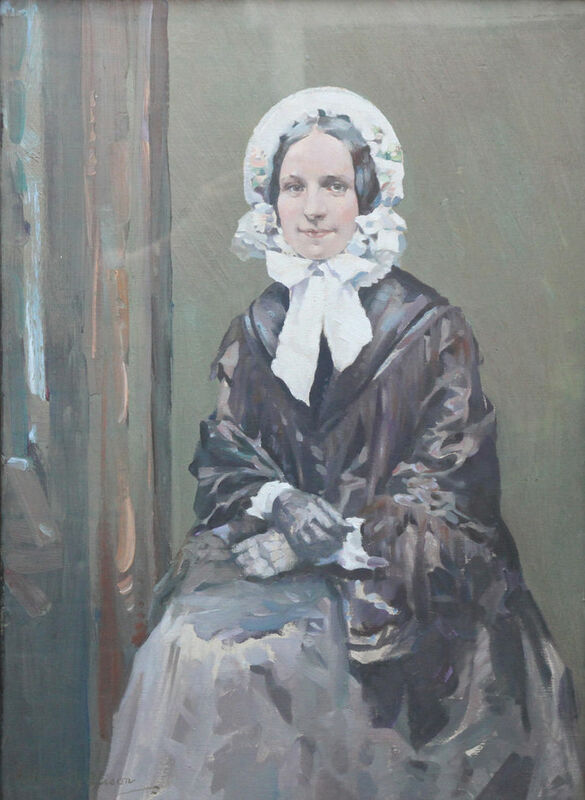 Alison exhibited extensively at the Royal Academy 1, Royal Scottish Academy 37, Glasgow Institute 54, and his works are housed in The Glasgow Art Gallery. Indeed, this work is good enough to be housed at Kelvingrove Glasgow Art Gallery.